This book is about a girl named Grace. Her mother gets a lump under her arm and has to go to hospital. That means Grace going to her granddads house. She meets a girl named Megan and they become blood sisters. Megan has a pig called Claude. 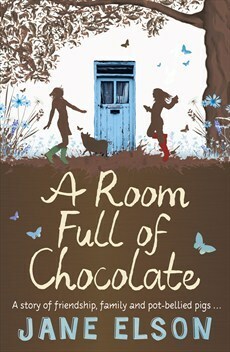 Grace gets bullied at her new school, Megan comes to the rescue, and Grace gets a room full of chocolate Easter eggs. I really enjoyed this book and cant wait to read more Jane Elson books. I cried a lot in this book and I really recommend this book.